A fun puzzle that can only be completed by following the instructions shows kids that there’s only one way to get to heaven—by following God’s instructions of how to get there, through believing in Jesus! 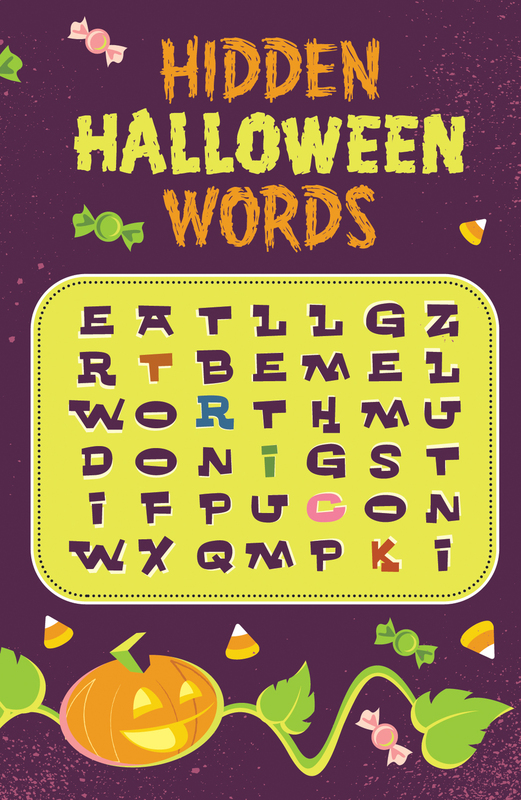 Did you figure out the hidden words? You have to follow the arrows to find them. But if you decide to do it your own way, you’ll have to guess a lot and may never find them! Learning how to get to heaven is kind of like discovering those hidden words. And if you follow God’s instructions, you can discover the way! There is only one right solution for each word. And the Bible, God’s “guidebook,” says there is only one right solution to get to heaven. Jesus Christ, God’s own Son, said, “I am the way....No one comes to the Father except through me” (John 14:6). But many kids and adults have never read the instructions! So here they are. First is the beginning point. We all start out in life ignoring and disobeying God. The Bible says, “All we like sheep have gone astray; we have turned—every one—to his own way” (Isaiah 53:6). We have all lost our way because sins are the opposite of God’s way. Sins are the disobedient, wrong things you and I do when we choose our own way instead of God’s way. And God must punish sin. But the good news is that God has made it possible for you to get on the right road that leads to knowing him. The Bible says that “there is salvation in no one else, for there is no other name [other than Jesus Christ]…by which we must be saved” (Acts 4:12). Here’s how he made the way possible. “For God so loved the world, that he gave his only Son [to die for us], that whoever believes in him should not perish but have eternal life” (John 3:16). That’s how much God wants to forgive you and give you eternal life! You see, “Jesus came into the world to save sinners” (1 Timothy 1:15). He died on a cross and paid the penalty for our sins as our substitute. Then he proved he was God’s Son by coming back to life after he died! You start by agreeing with God that you have sinned and you understand that your sins must be punished. “All have sinned…the wages of sin is death” (Romans 3:23, 6:23). Believe that Jesus died for you to take the punishment you deserved, then came back to life. “Christ died for our sins…he was buried…he was raised on the third day” (1 Corinthians 15:3-4). Trust him to forgive you and give you the gift of eternal life. “Everyone who believes in him [Jesus] receives forgiveness of sins” (Acts 10:43). “Whoever believes in the Son has eternal life” (John 3:36). In fact, Jesus promised his followers that when he went back to heaven he would prepare a place for them to live there someday (John 14:2-3)!